I don’t usually publish twice in the same month (I’m amazed that anyone reads this stuff once a month…) but, it seems, I can’t pick up the newspaper lately without another example of “banks gone wild”. 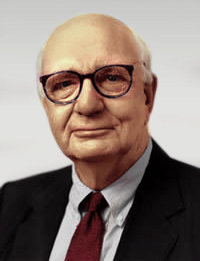 The latest example is the big banks’ reaction to the regulatory adoption of the so called “Volcker Rule”, named after former Federal Reserve Chairman Paul Volcker, which is part of the Dodd–Frank Wall Street Reform and Consumer Protection Act. As this December’s other post explored regarding mortgage risk, this is another example of the financial industry trying to outwit any attempt to rein it in. I thought it best to get my feelings about this issue off my chest this month so we won’t have month after month of this grimness and can get back to other real estate topics in 2014. In short, the Volcker rule prohibits banks from proprietary trading which is the banks’ risky trading for their own gain. Many of the toxic derivative trades that contributed to the Great Recession of 2008 were these type of trades as were the so-called “London whale trades” of 2012 where JP Morgan Chase lost 6 billion dollars as the result of a chancy proprietary trade. The intent of the rule is to avoid this kind of precarious, speculative behavior on the part of the banks in order to prevent another financial meltdown. See what I mean? Those are the articles in just a 4 day period this week. The financial industry has been abuzz with this rule this past week because the 5 regulatory agencies that had to agree on the rule’s implementation voted unanimously this week on its regulations which are even tougher than anticipated and represents a potential shift in the balance of power in financial reform as regulators gain more leverage over the largest banks whose risky behavior in behemoth trades can impact the overall economy. As you might expect, the banks are yowling in pain and instructing their lawyers to scour the law and its rules for loopholes they can wriggle though. Remember what Pope Francis said about the financial industry when I quoted him in my earlier December post: “… ideologies which defend the absolute autonomy of the marketplace and financial speculation. Consequently, they reject the right of states, charged with vigilance for the common good, to exercise any form of control.” And here the banks go again, trying desperately to avoid being reined in for the good of the country, just as they did when they successfully subverted the section of the Dodd Frank law dealing with retaining mortgage risk. Here again, the banking industry is presenting the fear based argument of a loss of credit capital in support their position. What we should be afraid of, rather, is the unregulated and unfettered ability of the largest banks to send us all down the rabbit hole again, affecting every aspect of our financial lives. Remember the last 5 years when your home lost half its value and you couldn’t get a mortgage? That was the loss of capital and credit the banks are, now, saying will be the result of government regulation. That 2008 debacle was their fault, not the government’s. In fact, as was pointed out in the Newshour piece, the government (that’s you and me, pal) had to bail them out. Remember, Mr. and Mrs. and Ms. big banker, when your own greed and stupidity put you and the rest of us on our knees? The banks are saying “trust us” to the possibility of that happening again. I say, as Ronald Reagan said, “trust but verify” and that’s what the Volcker Rule regulation is all about in this case – government oversight of an industry that has proven itself cavalier and untrustworthy in pursuit of its own profit to the detriment of us all. Perhaps, with the implementation of renewed government oversight, we can approach the new year with some confidence in a stable financial future for this country. On that hopeful note please accept my best wishes for the holiday season and for a happy new year.